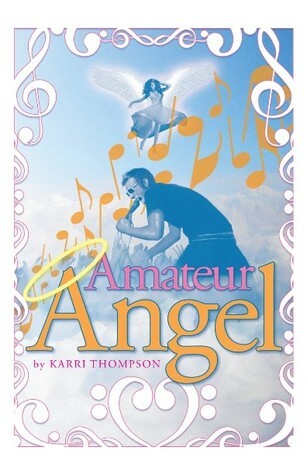 Welcome to my stop of the Amateur Angel Blog Tour! I’m really excited to share this book with you guys, and take part in this event! 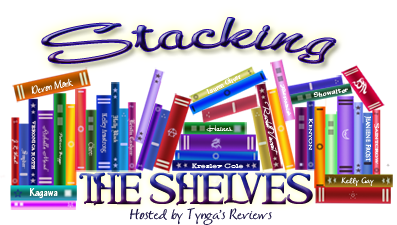 Before we head into my review, let me tell you a little bit about Karri! As a first-time author, I cannot express- not even in words- how excited I am about the release of my debut novel, Amateur Angel. It took a lot of hard work and sleepless nights. There were many disappointments and rejections along the way, but in the end, my persistence and determination eventually paid off. In many ways, I think writing a novel is easier than finding an agent to represent it and then a publisher to buy it. Two years ago, I almost gave up on my dream to become an author, but then my son, Kyle, wrote a special poem for me, and it inspired me to write a new book and try again. The new book was Amateur Angel. I hung this poem in my closet and read it every day when I was getting ready to go to work and each night before I went to bed. It is still there and always will be. I know what I’m about to say will sound like a cliché, but based on my own personal experience, the best advice I can give anyone is to always believe in your abilities, hold your head high, swallow your pride, accept criticism and then learn from it, and most importantly, never give up. I grew up in San Diego County and attended San Diego State University, earning a bachelor’s degree in English, a master’s degree in education, and my teaching credential. I am a high-school English teacher in the East County of San Diego where I also live with my husband, our son, and two dogs. Being a lover of Victorian literature, my favorite author is Charles Dickens although I haven’t quite finished reading all of his books. Someday I’ll finally finish David Copperfield- I promise. If you are one of my students, you are either laughing or shaking your head at this. I lead a very busy life, but when I’m not teaching, grading papers, or attending my son’s soccer games, I find time to write novels, my greatest passion. Only 18-years-old, Ashley is no ordinary teenager. Not only is she dead, but upon her death, she mistakenly enters the wrong line in the afterlife, a line meant for trained, guardian angels. With a pair of wings on her back, Ashley is sent to Los Angeles to replace another angel whose “assignment” was none-other-than Cannon Michaels, a current member of the band Sendher, the sexiest man alive, and Ashley’s celebrity crush in life. While exposed to Cannon’s selfish, judgmental behavior and his reckless, rock-and-roll lifestyle, Ashley is far from meeting the requirements of a true guardian angel. She misses her family and friends. Will she ever be able to accept her own death? What will she do when she jeopardizes her position as an angel and Cannon’s physical safety by falling in love with him? These days, when you hear a book is about angels, you’re thinking fallen angels almost immediately. That’s not what this book is. And that’s a good thing. Our main character is an angel, but she’s hardly a fallen one. Instead, this book tackles a realm of angels I, at least, have never read one YA book about: guardian angels. That right there was refreshing enough to dedicate me to the story. It was really fun reading about Ashley acclimating to her new powers. A few too many things were left unexplained for me, but at the same time there were a couple of peoples’ guardian angels who popped in to do some explaining for me. Though these could have easily turned into infodumping moments–because these interactions were so brief and needed to give out a lot of information–they were consistently broken up by living world drama and the fact that the guardian angels have to stay within ten feet of their humans. Cannon wasn’t exactly a social guy, and even when people were there they didn’t want to stay long. Ashley was legitimately left to figure out a lot on her own. One thing I really wish is that Cannon Michaels had been fleshed out more. I felt like I didn’t see enough of Cannon’s “good” side to justify Ashley falling so deeply in love with him. There were a lot of little details there that could have been something bigger, but I didn’t feel like they connected into a bigger picture. Though I can’t say much about the end, of course, I can say that it left me with all of the feelings. I have no idea what will happen in the sequel–because there HAS to be a sequel, right?–because there are so many different ways this can be turned. The door is wide open for a whole new adventure, and I really like that. All and all, I found this book to be a light, fluffy read. It was a fresh idea and a fun, easy read. It lacked a little on the world building and characterization side, but since the book always kept rolling it didn’t seriously bother me. I didn’t expect the ending, and I certainly can’t tell you what’s coming next.